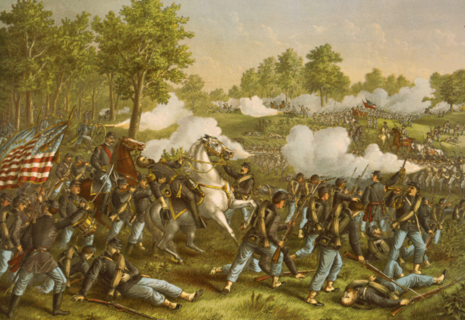 The Battle of Wilson's Creek, also known as the Battle of Oak Hills, was fought on August 10, 1861, near Springfield, Missouri, between Union forces and the Missouri State Guard, early in the American Civil War. 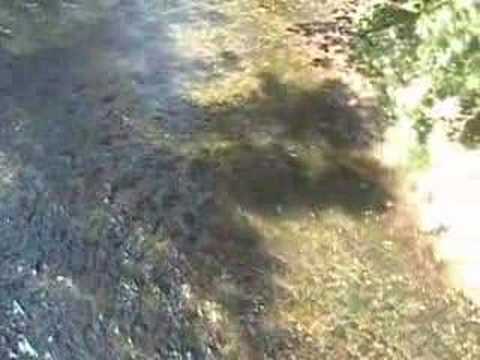 It was the first major battle of the war west of the Mississippi River and is sometimes called the "Bull Run of the West." Brig. 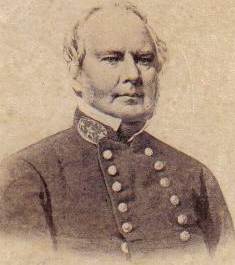 Gen. Nathaniel Lyon's Army of the West was camped at Springfield, Missouri, with Confederate troops under the commands of Brig. Gen. Benjamin McCulloch approaching. On August 9, both sides formulated plans to attack the other. About 5:00 a.m. on August 10, Lyon, in two columns commanded by himself and Col. Franz Sigel, attacked the Confederates on Wilson's Creek about 12 miles (19 km) southwest of Springfield. Rebel cavalry received the first blow and fell back away from Bloody Hill. 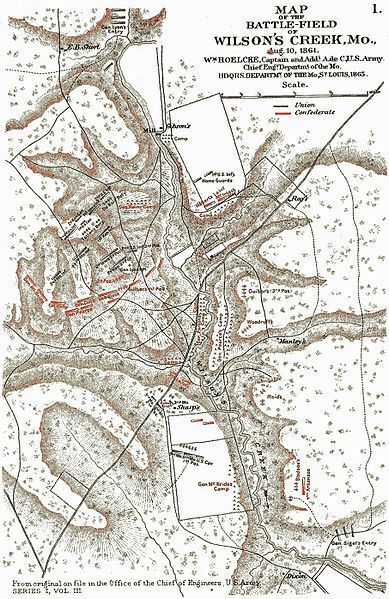 Confederate forces soon rushed up and stabilized their positions. The Confederates attacked the Union forces three times that day but failed to break through the Union line. 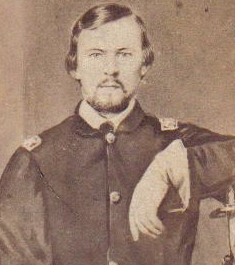 Lyon was killed during the battle and Major Samuel D. Sturgis replaced him. Meanwhile, the Confederates had routed Sigel's column, south of Skegg's Branch. Following the third Confederate attack, which ended at 11:00 a.m., the Confederates withdrew. 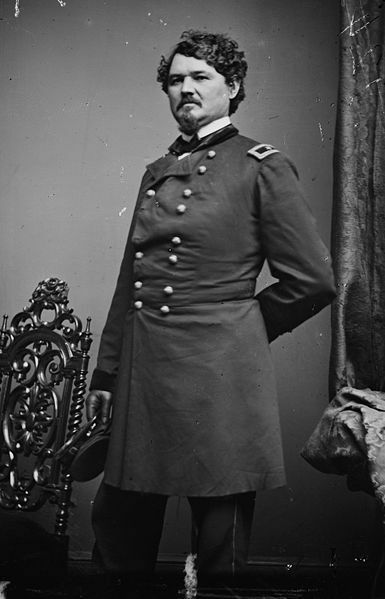 Sturgis realized, however, that his men were exhausted and his ammunition was low, so he ordered a retreat to Springfield. The Confederates were too disorganized and ill-equipped to pursue. 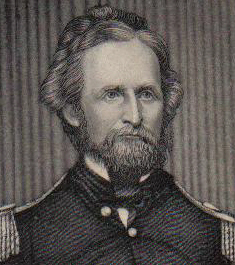 This Confederate victory buoyed southern sympathizers in Missouri and served as a springboard for a bold thrust north that carried Price and his Missouri State Guard as far as Lexington. 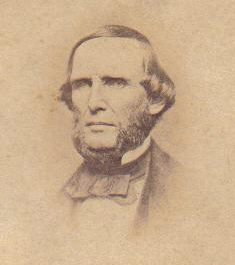 In late October, a rump convention, convened by Governor Claiborne Fox Jackson, met in Neosho and passed out an ordinance of secession. 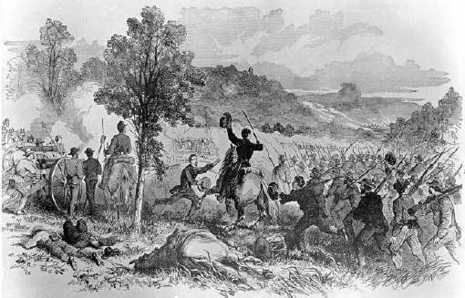 Wilson's Creek, the most significant 1861 battle in Missouri, gave the Confederates control of southwestern Missouri. 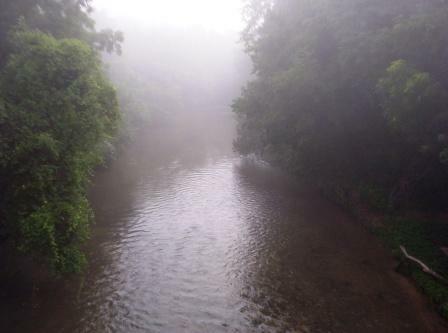 Wilson's Creek was the first major Civil War battle fought west of the Mississippi River, and the scene of the death of Nathaniel Lyon, the first Union general killed in combat. Although a Southern victory, the Southerners failed to capitalize on their success. With the exception of the vegetation, the field has changed little and remains in near pristine condition.